What happens when a massive flood destroys a beloved garden? Is it possible to rebuild? Imagine you rebuild only to have it happen again! This is the story of how Joan Gussow’s garden was wiped out by a massive flood and how it was rebuilt to prevent future woes. 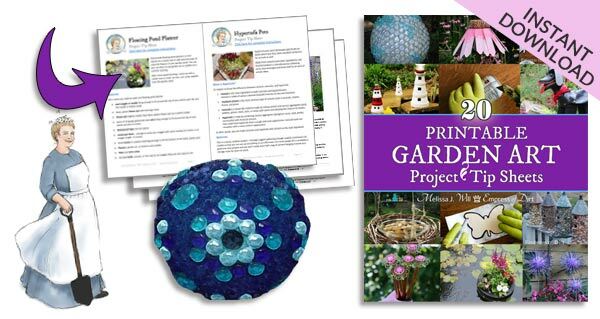 Joan is one of my favourite garden influences: you can see the rest of the list here. 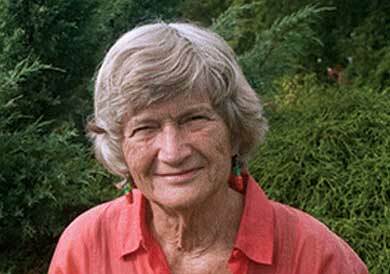 While Joan Gussow is probably best known for her work on food, sustainability, the environment, and climate change awareness, she first influenced me with her books. 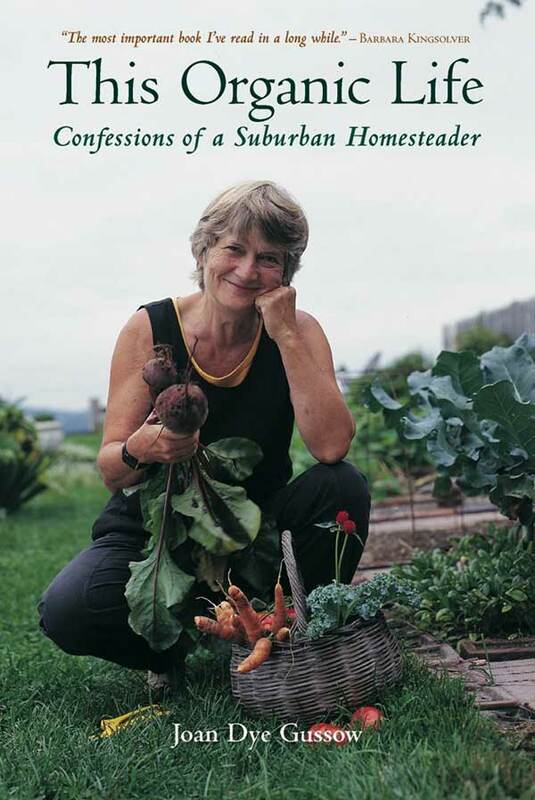 This Organic Life: Confessions of a Suburban Homesteader and Growing, Older: A Chronicle of Death, Life, and Vegetables are two of my favourite memoirs. After reading the books, I started following Joan’s career online, mainly through videos (talks by Joan and interviews with her—I’ve included several below). Joan was talking about the importance of local food, food quality (whole foods versus processed), ‘nutrition ecology’, sustainability, and other related issues back in the 1970s, long before the rest of us began to clue in about it. 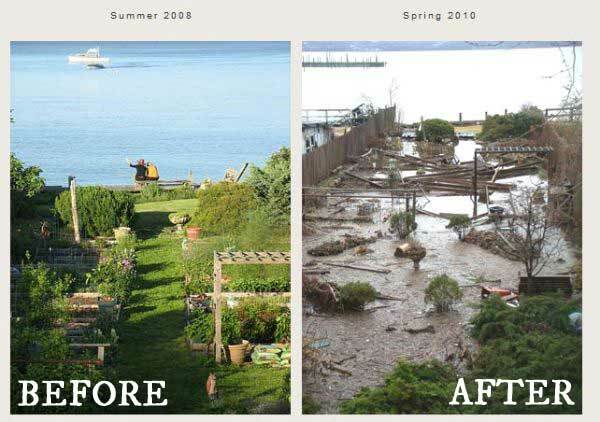 In 2010, a massive flood destroyed Joan’s garden on the Hudson River in New York State. It wasn’t the first flood, but it was the largest by far, and left her garden in ruins. With the grade of the garden at or below water level, a change had to be made to prevent it from happening over (and over) again. The solution was clear but not easy. Bring the entire garden up several feet. Can you imagine how much soil that would require? Or how much it could cost? People rallied: donations and help arrived. The entire garden was cleared. They added masses of soil. It was a momentous task that must have seemed impossible at the start. But they got the job done and the garden was restored. Everything was replanted, and today it is better than ever. Amazing recovery, isn’t it? I really love this story. It took tremendous work, resources, and fortitude, but it was totally worth it.